A senior security adviser to Donald Trump has said that the president-elect is going to make the destruction of IS including in Libya a priority. 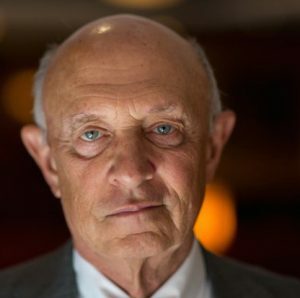 Former CIA director James Woolsey told the Italian newspaper La Stampa that the new administration would be committed to eradicating IS. He also said that Washington’s relations with Russia would be reordered. US media are reporting that the US Africa Command (AFRICOM) which has sent in some 360 air strikes against IS positions in Sirte, is now analysing intelligence on terrorists who had escaped the town. The Washington Post said that US commanders were concerned that IS would increase their attacks to the rear of Bunyan Marsous forces and elsewhere in the country. The intention was to be striking terrorist groups outside of Sirte but there was an overarching concern to avoid civilian casualties. Trump’s victory was welcomed on both sides of the Libyan divide. Presidency Council chairman Faiez Serraj said that he hoped that the military and political support already given by the US to his Government of National Accord would continue and that the Libyan-US partnership would grow stronger. There was no public comment from House of Representatives president Ageela Saleh. However, parliament put out a statement requesting Trump’s support and asking for the lifting of the international arms embargo and the arming of the Libyan army in its fight against terrorism. Nor has there been any public reaction from armed forces commander-in-chief Khalifa Hafter. Reuters quoted HoR member and Hafter loyalist Tariq Geroushi saying that he believed US Republicans understood the realities of terrorism in the country and would support the Libyan army. Geroushi’s father is Major-General Saqr Adam Geroushi, the air force commander whom Hafter is thought to be about to replace. It is said that one of Hafter’s strongest backers, Egyptian President Abdel Fattah al-Sisi, managed to be the very first international leader to get through to Trump on election night to congratulate him on his victory.